Waking up to an inch of water on your floors or carpet can be a traumatic experience. You are not sure what to do, where all the water has come from, whether your personal belongings are destroyed, or even if it’s safe to touch the water. A slow leak could have been leaking under your slab or under your floors for weeks before you see or feel the water. A pipe burst could dump thousands of gallons of water in a few hours under and onto your floors. Usually, the biggest concern after the initial shock wears off is how much will this cost to get fixed. 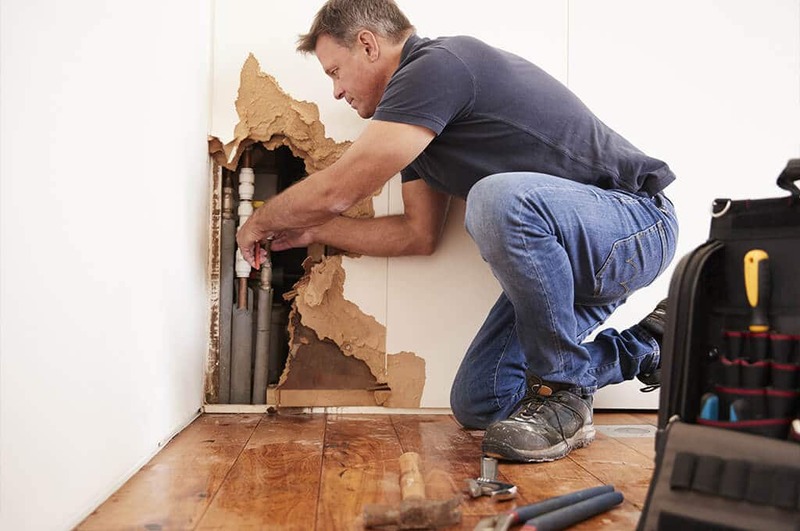 You will need to immediately mitigate any damage by stopping the source of the leak, and then begin the process of getting the water out of your house and drying your home. Water leaks can also lead to mold throughout your house if the property is not properly dried. Water leaks or pipe bursts are usually a covered peril under your homeowner’s insurance policy. Sudden and accidental damage is covered under most policies as well. Long-term water leaks that are due to unresolved maintenance problems are not covered sometimes. As the homeowner, you must make sure to mitigate damage as much as possible when an issue arises. Water entering your home from outside, or backup from a sewer or drain are generally not covered unless you have a specific endorsement. Unfortunately, homeowner insurance policies are extremely complicated and lengthy, and it’s best to carefully review your policy with an experienced insurance attorney to determine if your loss is covered. Even if you have coverage, you may find yourself in a situation where your claim will be underpaid or denied. Insurance companies are in business to make a profit, and that can mean treating the policyholder unfairly. It is important to hire a Shupe Dhawan attorney to handle all matters with the insurance company so you can move toward having your claim paid timely and fairly.